Day two of the government shutdown and for most people, other than the ones who received furlough notices yesterday, the effects are probably just starting to sink in. For others, it probably won’t make much of a difference ever. Life will go on as usual. But there are quite a few people out there who will soon be feeling the effects of the government shutdown physically. 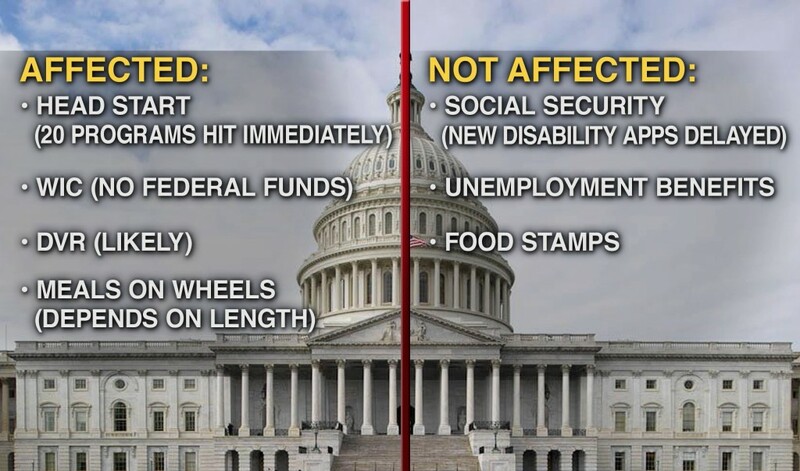 People who depend on the Supplemental Nutrition Assistance Program (SNAP aka food stamps) and the Child Nutrition Programs (school lunches and other feeding programs) may lose this much needed supplement by the end of October if the the government does not get its act together. WIC, the Special Supplemental Nutrition Program for Women, Infants and Children will receive no more federal funding. Depending on reserves left at each state, the effects could be immediate. Most people have a hard time believing that people here in the U.S. go hungry too. And NO not always by choice, I pre-empt the ones who say we are always on a diet. The sober truth is, all you have to do is look a little closer at your neighbors or people you pass on the street next time. Many people can barely afford to eat and are too embarrassed to admit it. Too embarrassed to admit it because in a country as rich as ours supposedly to be, it’s unthinkable that anyone’s stomach should grumble involuntarily. An yet, congress is proposing cuts to food stamps and other forms of aid to the poor. No, strike that. Yesterday, conservatives actually pushed through the bill that will cut billions from the food stamps (a.k.a. SNAP–the Supplemental Nutrition Assistance Program) and other welfare programs. Many conservatives claim that SNAP is out of control and rife with abuses. If they had their way, it should be simply eradicated. What they don’t realize is that the population that benefits most from the program is the future of this country, the children. See the quick infographic below for figures.